The products KTD Computers offers are all DIY friendly and were created with retrofitting in mind (such as installation of smart lighting switches without needing to run any new wires). The devices software offerings are homeowner friendly and can be installed on any existing PCs or cell phone. The 1st piece of equipment you need to start with is a good WiFi router. 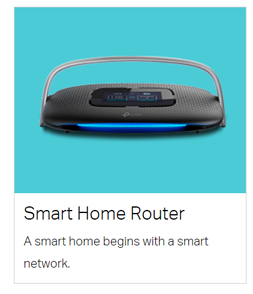 It should have a wide signal range in order to reach all of your smart home devices. 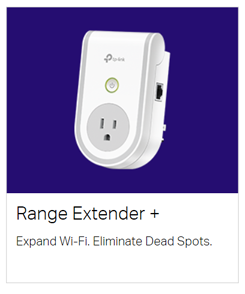 Should you already have a WiFi router but the range just isn’t reaching everywhere you will need it don’t worry, we can add range extenders to your existing network to give you the coverage you will need. We even offer Access Points which provide an even greater area of coverage. We have used these Access Points in Motels where a wide coverage area is a must. 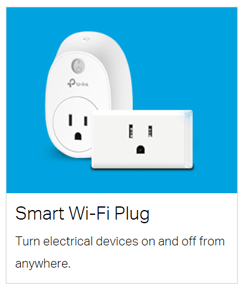 One device almost every home should not be with out is a smart plug. With these devices you can have table lamps for example be controlled by your voice. These are very useful for example, you are coming home late at night and as you enter the house you could use your voice to tell Alexa or Google Assistant to turn on my lamp. There are many possibilities for things you can control with just a smart plug and your voice. Next you might want to get some smart light bulbs that you can automatically dim with just your voice. 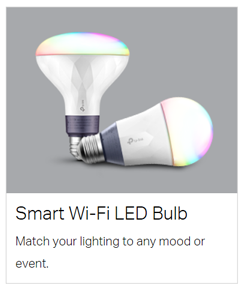 Or you may like the smart LED bulbs that can change color by just using your voice. Adding this smart capability is simple and fairly easy but we can help with that should you need some help. 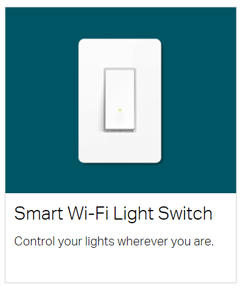 You might also like to try a smart light switch. These are great for turning on and off lights by just using your voice. You can control them from anywhere using the apps from your phone and also schedule them to turn on or off at predetermined times. There are also variable control dimmer switches that can add that distinctive lighting effect you want. All by using your voice. add to your home security then these will do the trick. An emerging important feature of a smart home is conservation of the earth’s limited resources. 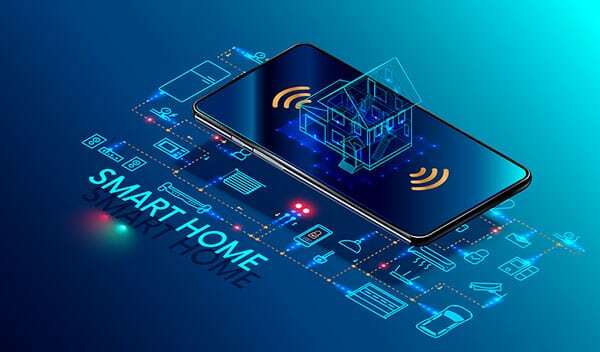 More and more people are becoming aware of the ability to make their homes truly smart — and green — by utilizing home controllers integrated with all home sub-systems to increase savings by controlling lighting, TV’s and IR controlled devices. KTD Computers can help you find the right solution for your needs and help you be successful in your installations and operation. We provide all our customers the information and personal guidance they may need to select the most appropriate products, taking into consideration budget, needs, and desired end-results. For those who prefer not to do the installations themselves KTD Computers can have our professional installers come out and set these devices up for you and show you how to control them. Installation of the devices and the software that controls them can be done rather quickly and when we are finished we will go over with you how we set them up so the home owner can add to them if they wish. 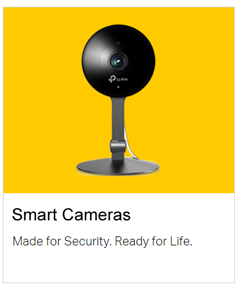 So if you have been wanting to make your home a smart home but have been hesitant about getting started, now is the time and KTD can guide you through the process.